Good news… There are no hard and fast rules when governing what your amateur dramatics society should stage!Of course that doesn’t necessarily mean that you will have the support or experience to produce any type of play. As you plan out your troupe’s seasons, it’s essential to keep the following considerations in mind to ensure that everyone involved, from newbie stage hands to enthusiastic audience members, have the best experience possible. Where Can Your Amateur Dramatics Society Members Rehearse? Unless your group has a theatre all to itself (at least most of the time if you’re sharing it with another organisation), you may find yourself rehearsing performances in a variety of locales, from the director’s house to a private room in a neighbourhood pub. Consequently, you’ll find that it’s best to stage a play that has a smaller cast of characters or an extremely simplified version of a well-known musical. One note – it’s very important to rehearse on the actual stage where you’ll be performing at least once or twice before opening night. That way, directors and actors can work out any “kinks” that could detract from onlookers’ pleasure. Where Will Your Society’s Performances Take Place? On the other hand, should your troupe be performing in much smaller, less conventional venues such as restaurant back rooms, church halls or community recreational places, you must take these limitations to heart. For instance, a musical with many characters and complex dance numbers will be difficult to pull off without an appropriate space. 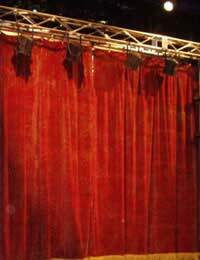 What is the Theatrical Background of Your Group? While there’s absolutely nothing wrong with having a novice group of directors and thespians undertaking your amateur dramatics troupe’s stage offerings, it’s critical not to expect them to tackle ultra challenging productions, at least for the first year or so. Truly, even some seasoned professionals with amazing credentials shy away from starting out with heavy-hitters like Shakespeare’s works, which tend to take many months to rehearse, often leading to exhaustion among or attrition of actors and backstage helpers. Instead, choose plays or musicals that require less of a time or energy commitment but are audience pleasers. That way, every person will begin their theatrical “careers” with your dramatics society on a positive note. What is Your Amateur Dramatics Group’s Focus? Staging a serious, potentially depressing show might be fine if you’re planning to attract adults, especially ones interested in something less mainstream and more intellectually stimulating (as in a university crowd). However, if your troupe is geared toward family-friendly fare, it’s a good idea to pick something that’s purely entertaining. If your troupe hasn’t yet come up with a general “theme” for the performances it will produce, it might be time to do so. That way, you can easily pick plays that will fit within those parameters.